Seaton is a small Devon seaside town on the south west coast. 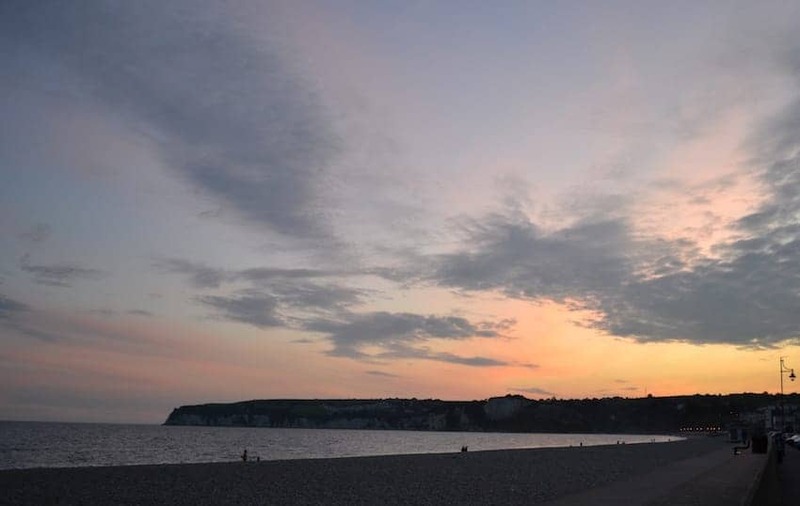 This stretch of coastline is a UNESCO World Heritage Site and Seaton Bay is part of Devon's 95 mile long Jurassic Coast line with geographical features such as landslides, a barrier beach, lagoon, cliffs and raised fossil beaches. There is a near continuous sequence of Triassic, Jurassic and Cretaceous rock features and from Seaton it is possible to see, walk to, or visit all three eras in this 185 million-year geological walk through time. Seaton has a small harbour for yachts and local fishing boats and a safe pebble beach.